September's Knitted Square is ready. Looking at my blogs from last month, I had a difficult time to choose either the lovely foliage or the great marble depiction from the NYC subway. I went for the latter so the foliage will have to wait, and the great underground marble wins. 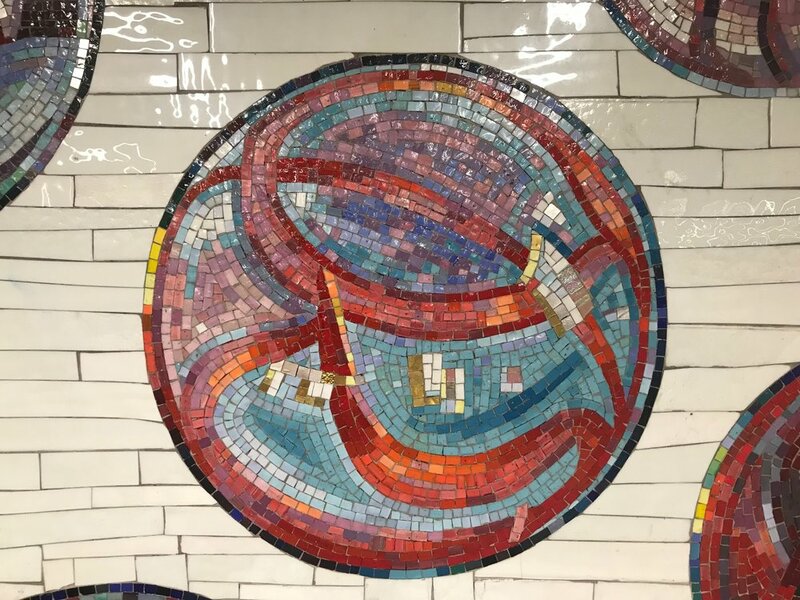 Here is my take on the mosaic marble from 42nd street subway station in New York. I am using regular squared paper to draft my designs and sometimes this cheats me a bit with the dimensions, because on the regular squared paper each square is a correct sized square, whereas when knitting each square actually becomes a bit more oblong being slightly shorter in its height. 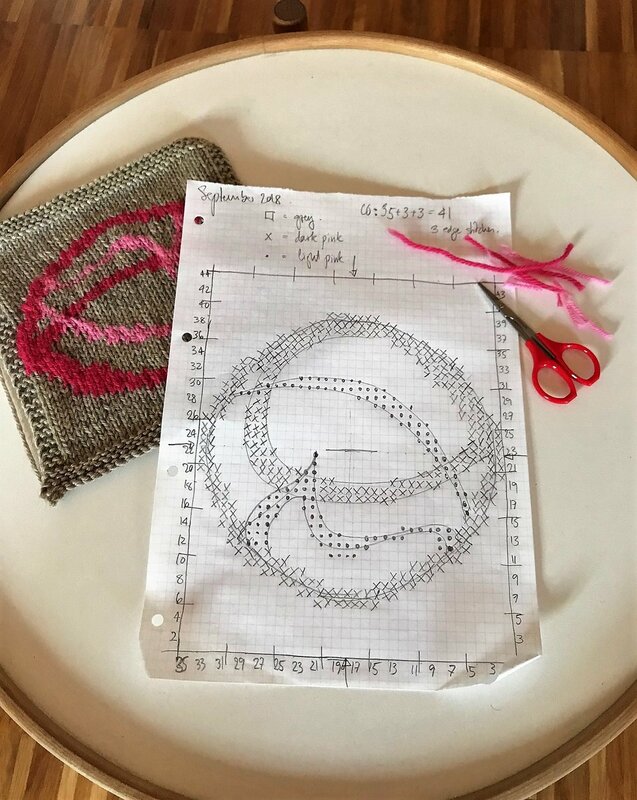 As you can see, the drawing has a nice round marble, but not calculating for each of my stitch being slight shorter, the finished knitted marble is a bit squashed at the bottom and top. Something to remember for next time I will create a nice round design. Newer Post"She drives me crazy"